Most problems with touch and consent can be prevented when adults and kids have clear and appropriate personal boundaries. 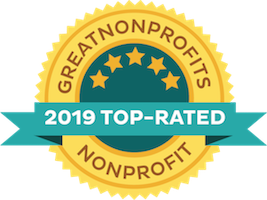 This article is from the Kidpower Child Protection Advocacy Workbook, a tremendous resource for protecting children and teens from sexual abuse, sexual assault, bullying, harassment, abduction, and other harm. 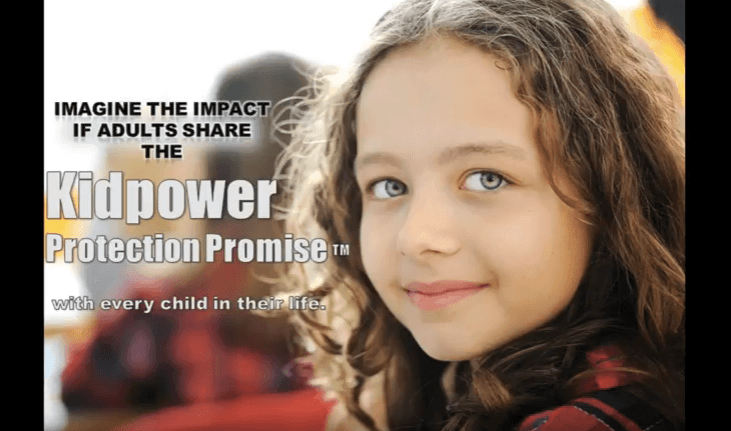 Kidpower constantly gets questions from concerned parents, teachers, and health professionals about how to teach kids, teens and adults about consent in relationships. To have healthy relationships, you need to have good boundaries. To have clear boundaries, you need to have an understanding about what behavior is safe and what is not safe, appropriate, and respectful – both emotionally and physically, to ensure positive consent. The phrase “positive consent” in relationships means making sure that each person has the choice to participate, and how they participate. Positive consent skills are about being able to communicate clearly with others about your boundaries on touch, teasing, and play – and staying aware and respectful of the boundaries of others. Too often, problems in relationships about consent are caused because of confusion about what is and is not experienced as safe, respectful, and appropriate for each person. We each belong to ourselves. Some things are not a choice. Being safe with what you say and do is not a choice. Doing your work or chores is probably not a choice. Going to the doctor or the dentist when you need to is not a choice. Problems should not be secrets. It is also important not to keep secrets about presents someone gives you, friendships, favors, or any kind of touch. Keep telling until you get the help you need. If one person doesn’t listen, then tell someone else. 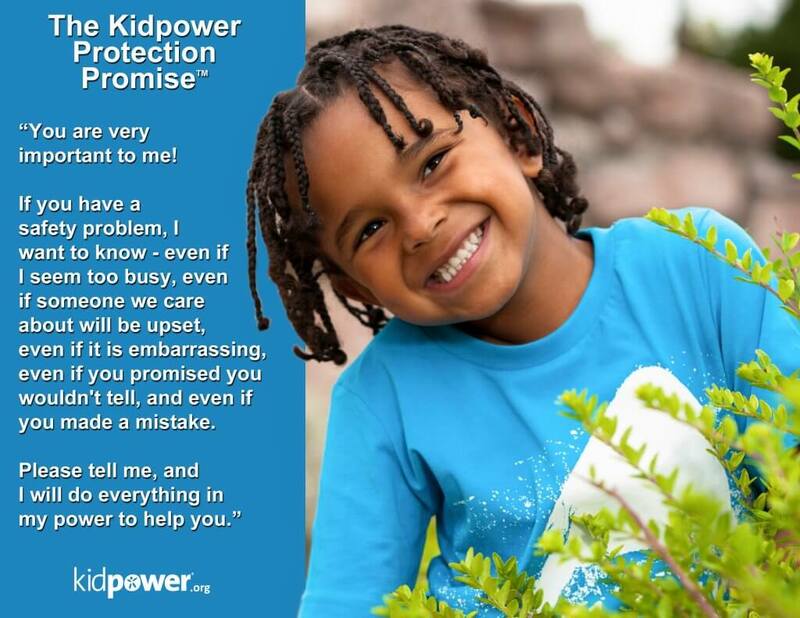 You are welcome to download and use our “Kidpower Consent Checklist Posters” of these 4 Safety Rules about Touch or Play for Fun & Affection in your school classroom, office or waiting room, and even at home! 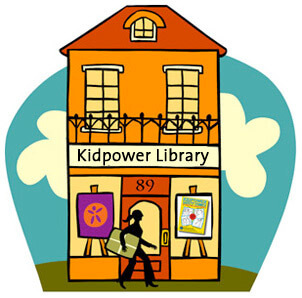 For more information about how to teach children to persist in setting boundaries and getting help see our article: Kidpower Skills to Persist in Protecting Personal Boundaries through 5 Levels of Intrusion. Tell Kids: YOU are VERY important to me. If you have a safety problem, I want to know – even if I seem too busy, might get upset, or don’t understand at first – even if someone we care about will be upset- even if you promised not to tell, feel embarrassed, or made a mistake. Please tell me, and I will do everything in my power to help you! 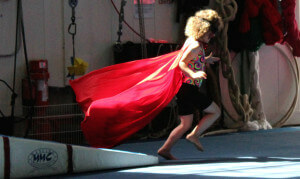 Knowing these Kidpower boundary principals and safety rules for touch is important. 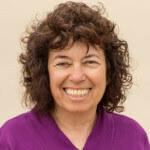 People of all ages also need to learn skills for communicating about boundaries and positive consent. This is why our Kidpower Positive Practice™ teaching method emphasizes coaching our students to be successful in practicing the skills they need to keep themselves emotionally and physically safe – in ways that are appropriate to their ages, abilities, and life situations. Use our free Kidpower Skills Guides today – right away – to find information on how to teach kids to safely stop unwanted touch (without scaring them). 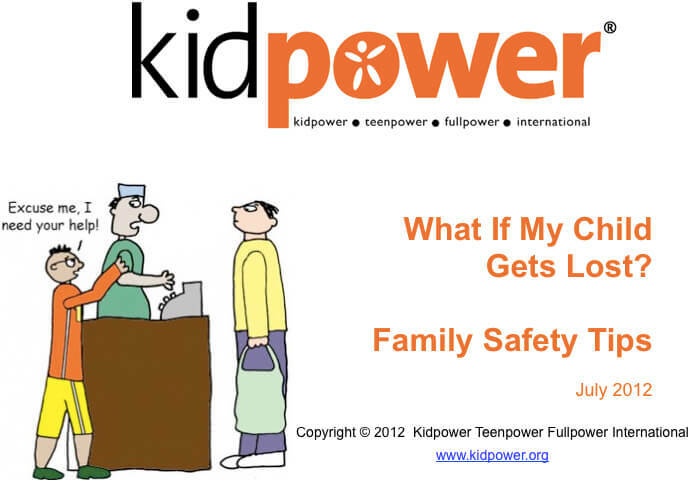 Checkout our Kidpower and Fullpower Safety Comics series for children, youth, teens and young adults as a fun – age appropriate – tool for teaching about boundaries, consent, and healthy relationships. Our Comics are a great resource for learning and teaching others What to Say and How to Practice Skills and Strategies for Taking Charge of Safety. 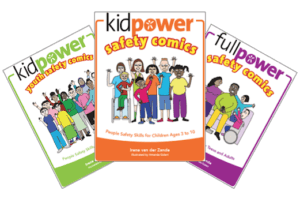 The Kidpower Safety Comics series for provides safety skills to stop trouble before it starts, including how to prevent and stop bullying, sexual abuse, harassment, peer pressure, assault, kidnapping, and other violence!